What would your life be like without trees? The first Arbor Day was celebrated in Nebraska in 1872, in response to a state proclamation urging settlers and homesteaders to plant trees that would provide shade, shelter, fruit, fuel, and beauty for residents of the largely treeless plains. On that first Arbor Day, more than one million trees were planted. • A Tree Guide with detailed information on dozens of commonly planted landscape trees. • Online Tree Identification guide. • The Gift Tree program where you can give hardy trees to your family, friends, customers, guests, or employees. • Sign up for the Arbor Day Foundation MasterCard and Bank of America will contribute $50 for each new card activation in addition to 2/10 of 1 percent of your net retail purchases to the Arbor Day Foundation. •Buy Trees Online with Free Shipping and Guaranteed Healthy Delivery. 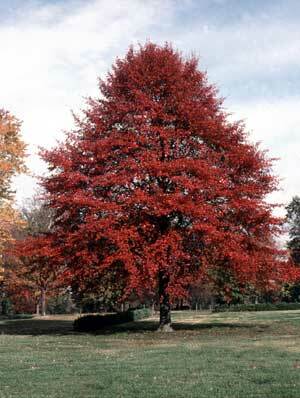 You receive ten free trees when you join the National Arbor Day Foundation for only $10.00. You can choose either ten free Oak trees, ten free flowering trees, or ten free Colorado Blue Spruce trees. The trees are guaranteed to grow. Click here to vist the The National Arbor Day Foundation web site.